It's time to get patriotic. 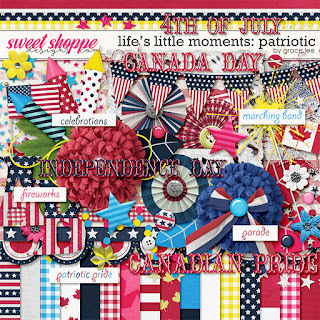 Life's Little Moments Patriotic is an Americana-themed kit, perfect for 4th of July celebrations, parades, fireworks, and other patriotic pages, for both the USA and Canada! Bright colors and a versatile mix of elements set this kit apart and allow it to work for all kinds of summer layouts as well. Available HERE on sale this weekend. 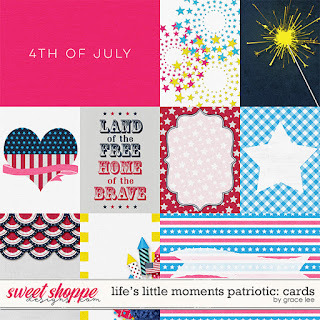 Life's Little Moments Patriotic: Cards contains 10 journal cards (8 3x4 and 2 6x4). 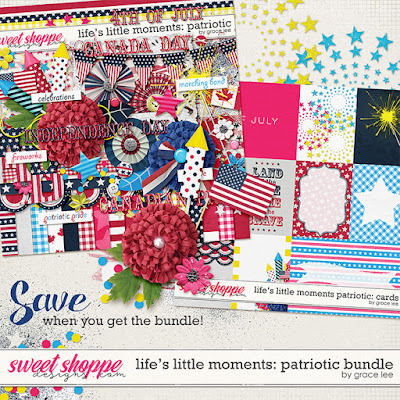 Life's Little Moments: Patriotic Bundle contains the kit and journal cards. 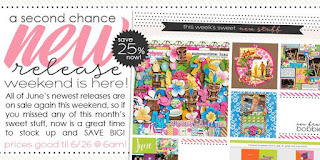 Also check out the second chance new release weekend! All of June's new release are on sale this weekend ONLY! Hurry over!